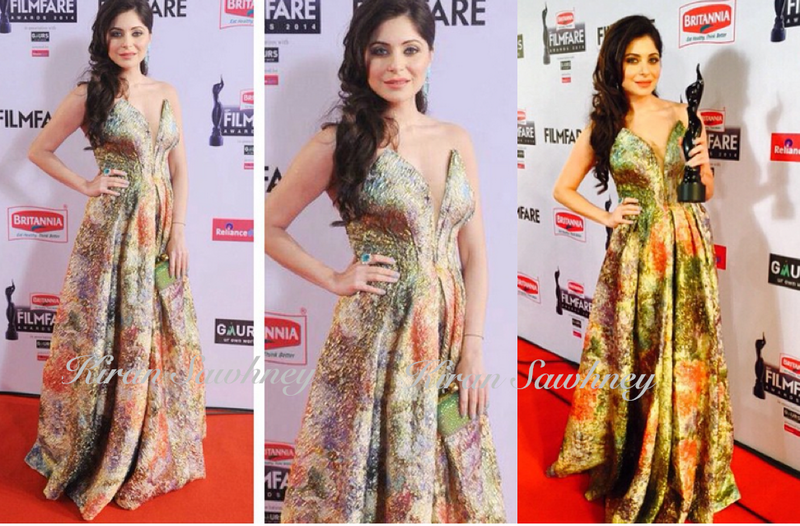 Kanika wore a strapless Monisha Jaising gown at Filmfare. She teamed it with Farah Khan Ali jewellery. Picking from the shades of the gown, she held an olive green clutch and finished her look with side swept hair. You like?